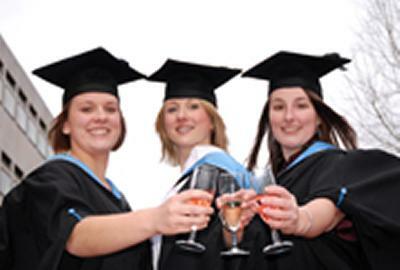 More than 800 students will attend Winter Graduation at the University of Southampton this week. ow firmly established in the University calendar, students can elect to attend a winter ceremony, enabling those who were awarded degrees in the autumn to graduate within a few weeks or months rather than wait until the summer. The graduation ceremonies take place on Tuesday 13 and Wednesday 14 December in the Turner Sims on the University’s Highfield campus. There will be eight events with students from Humanities, Ocean and Earth Science, Art, Electronics and Computer Science, Health Sciences and Psychology taking part. Professor Don Nutbeam, Vice-Chancellor of the University of Southampton, says: “Graduation provides a ceremonial opportunity to mark the achievements of our students in completing their studies. It is a highlight of the academic year for the staff of the University, enabling students to celebrate their success with their parents, friends and teachers.